Wedding season is upon us, but for couples who planned to tie the knot at one popular Fishtown venue, their nuptials could come to a screeching halt. Skybox Event Center, 2424 E. York St., the building known as 2424 Studios, abruptly closed this week, notifying couples planning to wed – one in just a few weeks – that their venue would no longer be an option, even after thousands of dollars had been deposited to reserve the space. The reason for the abrupt closure is linked to a zoning snafu as Skybox’s owner has failed for years to obtain the required permit to operate large events out of the space legally. Despite this, Skybox continued to book weddings and large events even without the proper permissions. The closure will affect at least three couples planning to wed there this year after booking their wedding days far in advance – some as close to two years ago, Philly.com reported. One couple, Sara Appleby and Joseph Ross (planning to wed May 19) reported they have not received their $12,000 deposit back, nor have they been able to get in contact with any representatives from Skybox about getting their money. Skybox’s license to include dancing and more than 50 people, the Special Assembly and Occupancy License, expired in August 2015. It wasn’t until about two years later, in June 2017, that Skybox received a cease-operations order from the Department of Licenses & Inspections. To honor couples’ weddings following that order, Skybox owner Chris Voz reportedly secured extensions and court permissions to keep things afloat, though couples were kept in the dark about their venue’s true status. 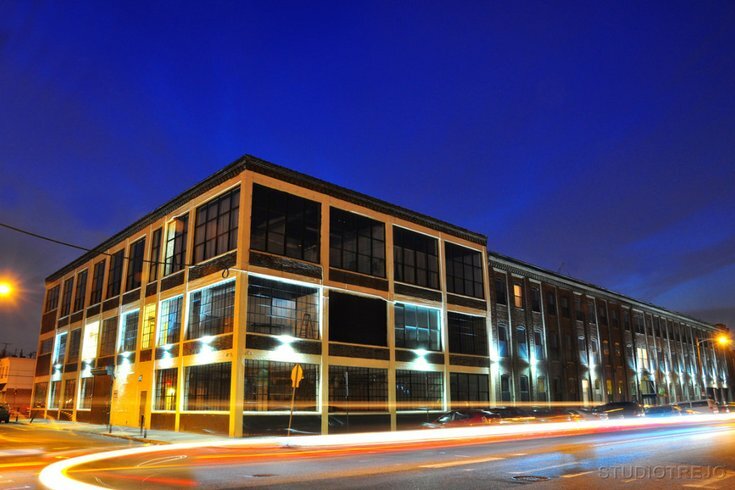 Voz attempted to secure legal use of the space as an event venue by working with Liberti Church East, another tenant at 2424 Studios, so that zoning permissions could be secured. Neighbors of the venue, however, began protesting the approvals in the hopes it would put an end to noise, parking problems, public intoxication, and other disturbances stemming from having the weddings in a residential neighborhood. Skybox was denied the permission April 25. The next day, couples – unaware of the venues' legal woes – were told their weddings were canceled. CBS3 reported that, following several attempts by Appleby and Ross to reach Voz and get their money back, the engaged couple has reached out to the Attorney General’s office as they consider legal action. Skybox began operating out of 2424 Studios in 2009.